BEAT UP, BRUISED, BALD, AND BENT. . .
Man-o-man. The "King" is bent and crooked. 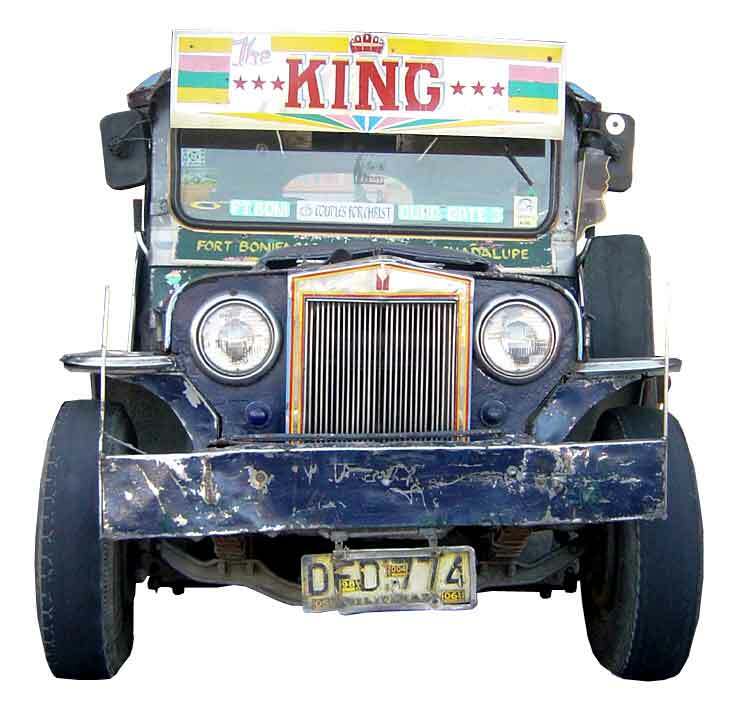 Banged-up front fender.Perhaps it's one used in Jeepney-driving school. And kid you not! Those tires are for real. Cross-My-Heart! No digital manipulation here. Near full-kojak out-of-thread tires. Same with the spare! Uhmm. . . ok, booking down at 60 to 80 km an hour, that might classify as your adventure-on-wheels, like bungee-jumping on frayed cords.